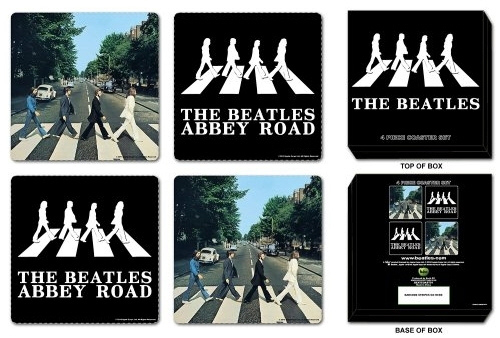 100% officially licensed Beatles drinks coasters. each coaster measures approximately 10cm x 10cm. 100% officially licensed Beatles bookmark. The bookmark measures approximately 8 inches x 2 inches (20cm x 5.5cm). The front of the bookmark is illustrated in the picture. The back of the bookmark contains the relevant copyright and licensing info. 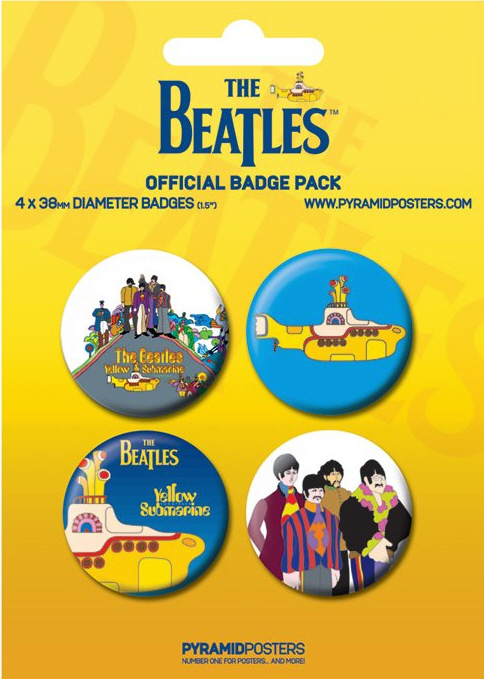 100% officially licensed Beatles Badge Pack. 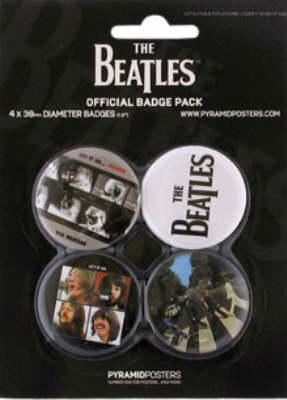 These four highly collectable Beatles badges come with a 6 x 4 inch (15 x 10.5cm) presentation card. Each badge measures approximately 1½ inches (4cm) in diameter. 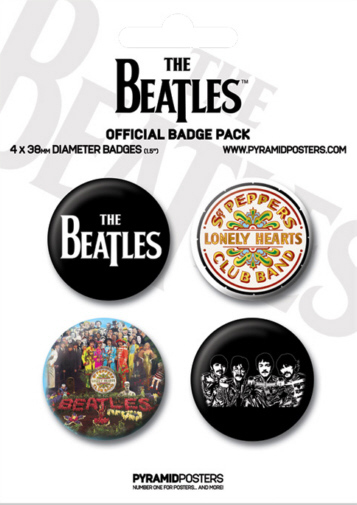 100% officially licensed Beatles Badge Pack. 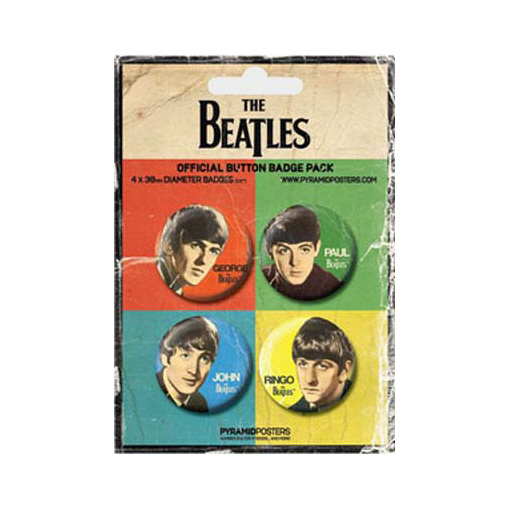 These four highly collectable Beatles badges come with a 6 x 4 inch (15 x 10.5cm) presentation card. Each badge measures approximately 1½ inches (4cm) in diameter. 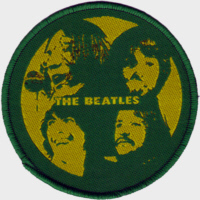 100% officially licensed Beatles woven Sew-On Patch. This high quality patch measures approximately 3½ inches x 2 inches (9cm x 5cm). 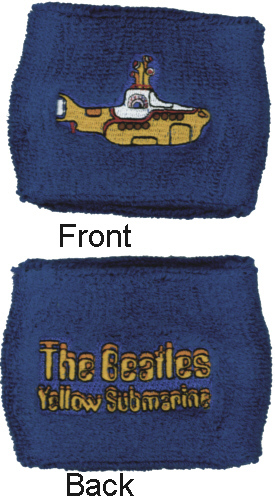 100% officially licensed Beatles Sweatband. These four highly collectable John, Paul, George and Ringo distressed effect badges come with a colour 6 x 4 inch (15 x 10.5cm) distressed effect presentation card. 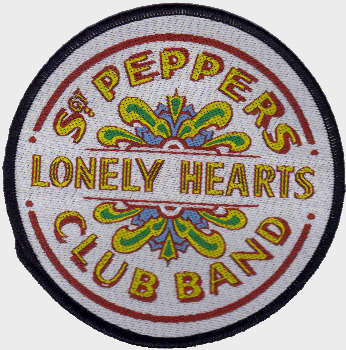 100% officially licensed Beatles woven Sew-On Patch. This high quality green and yellow circular woven patch measures approximately 3½ inches (9cm) in diameter. 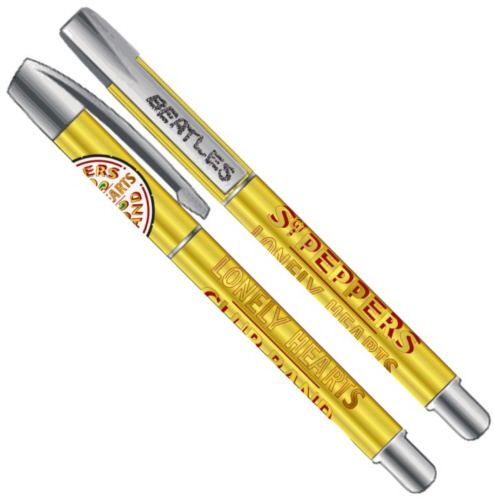 100% officially licensed Beatles Ballpoint Pen. This lovely looking Pen has the 'Sea of Holes' artwork printed on the body. The cap of the pen has 'The Beatles Yellow Submarine' printed on the back and a Beatles logo printed on its pocket-clip. This high quality circular patch measures approximately 3½ inches (9cm) in diameter. This lovely looking Beatles Pen has the classic Sgt Pepper's Lonely Hearts Club Band logo printed on the cap. The body of the pen has Sgt Pepper's Lonely Hearts Club Band printed on it, and the pocket-clip has a Beatles logo displayed. These four highly collectable Yellow Submarine Beatles badges come with a colour 6 x 4 inch (15 x 10.5cm) presentation card. 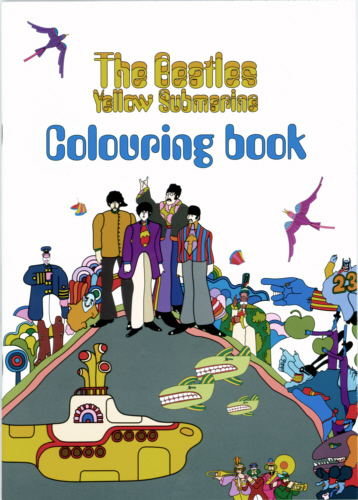 100% officially licensed Beatles Colouring Book. This lovely A4 sized book contains 20 pages of great pictures waiting to be coloured. Would make an ideal gift for any young (or not so young) Beatles fan. This high quality Wristband is approximately 3 inches (7 cm) wide.